Hey! It’s Your Asheville Chiropractors! You all know how much Dr. Bryan and I LOVE working out your KNOTS!!! Knots that form in your muscles are called Trigger Points. You have heard us talk about these knots. You may have even experienced the pain of our elbows on these knots… 🙂 These Trigger Points are commonly found in certain spots in your muscles. When pressed, these points are tender and can refer pain. Releasing these points can help reduce your pain and increase your range of motion. Watch this video to learn how to reduce your trigger points in your upper back muscles in 8 easy steps. 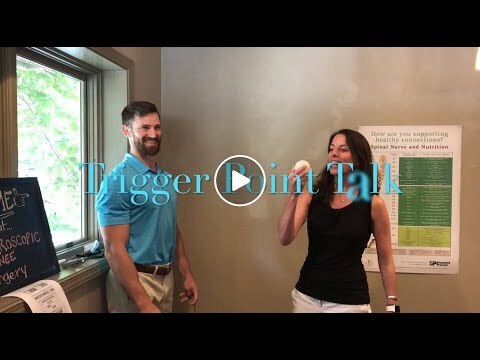 Want to learn more about Trigger Points? Join our next Trigger Point Class in the office, Tuesday, August 28th at 6:15 PM!